First rule of Rugby club "Watch Rugby at a rugby club..": 2nd rule of Rugby club "Watch Rugby at a rugby club.." #EXPERIENCETHEGEES At the False Bay Rugby-Club and The Bay Sports Bar & Restaurant this November and catch all the Springbok action live in HD. 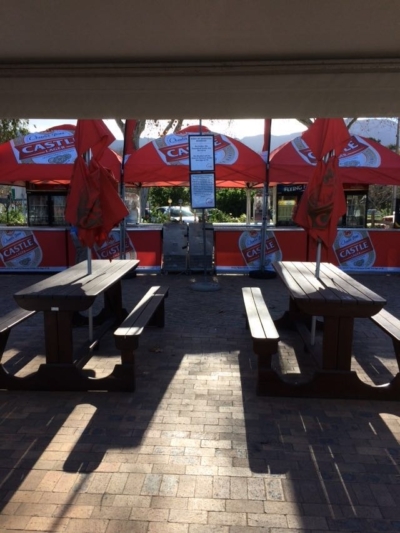 Book your table for the month on 021 794 0652. 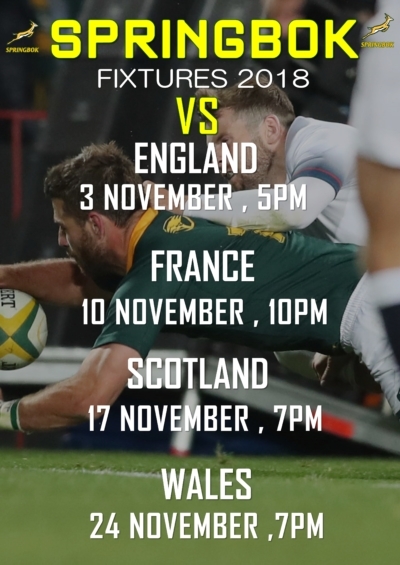 The 2016 Rugby Championship is almost here! 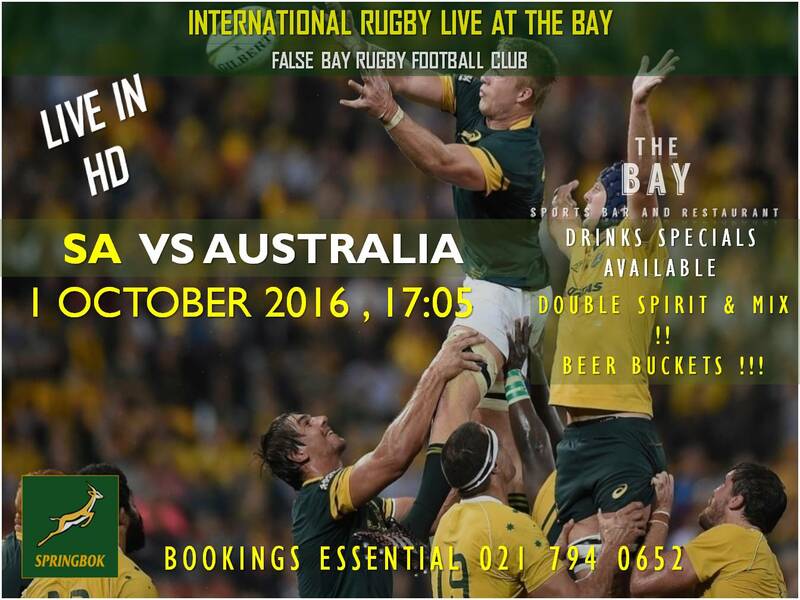 Come and catch all of the action live on our big screens at The Bay! 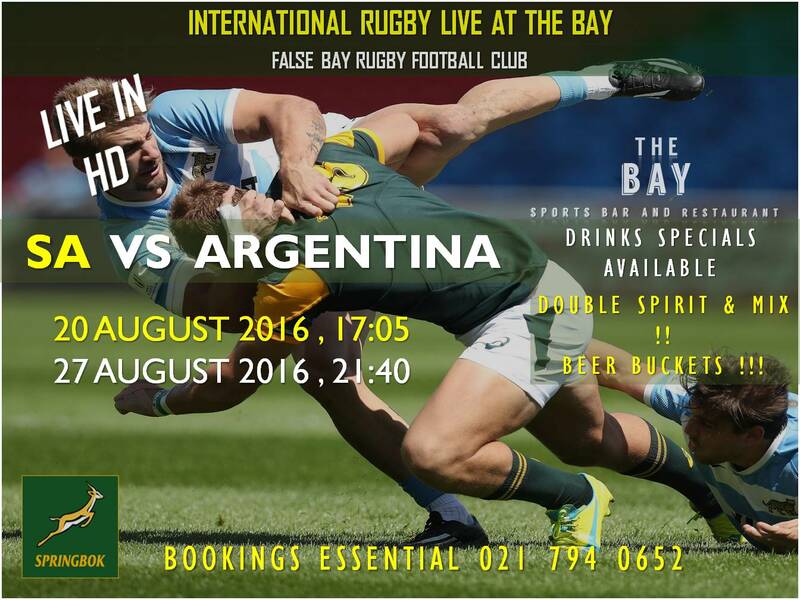 20 August - South Africa vs Argentina - 17:00 27 August - Argentina vs South Africa - 21:40 Massive specials on doubles and mix! Beer buckets for the boys! Springboks vs Ireland at The Bay! 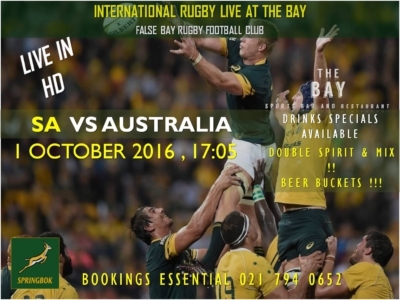 Getting ready for the rugby this weekend at The Bay. 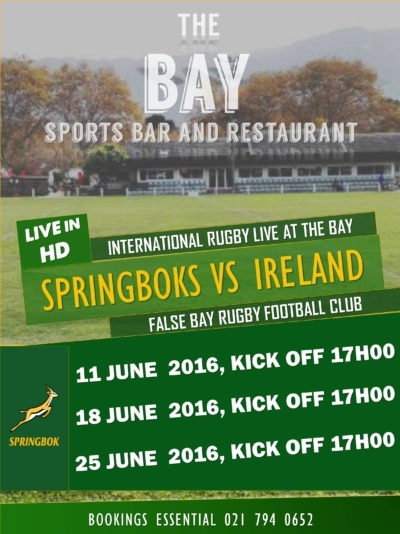 Finished with preparations for this weekends rugby at The Bay Sports Bar. 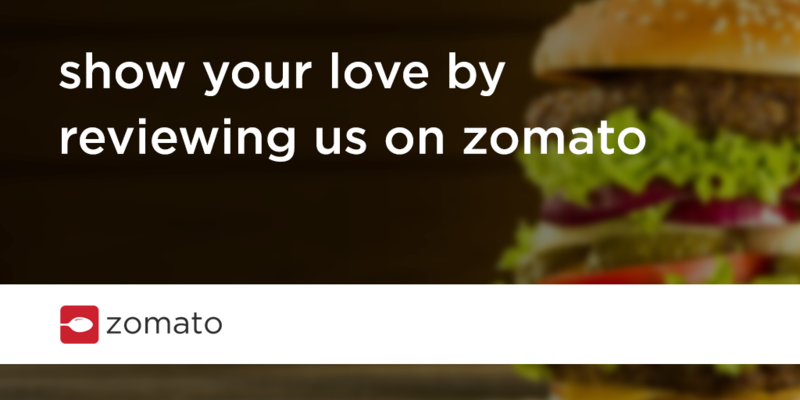 Looking forward to seeing you all. 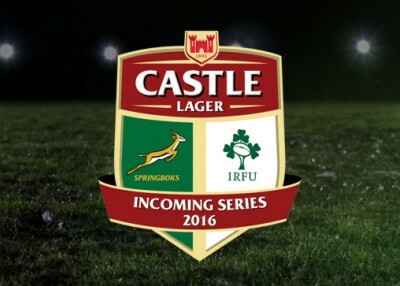 Come join us on Friday the 29th of May for Rugby. 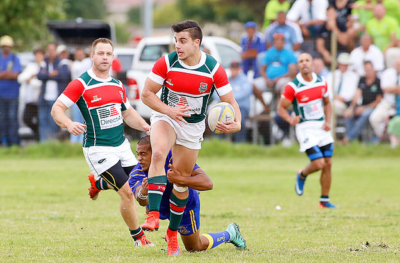 DirectAxis FALSE BAY RFC vs VILLAGER RFC 3s KICK OFF 6.30pm MAIN GAME 9pm Please note the date change from Saturday the 30th to Friday the 29th. 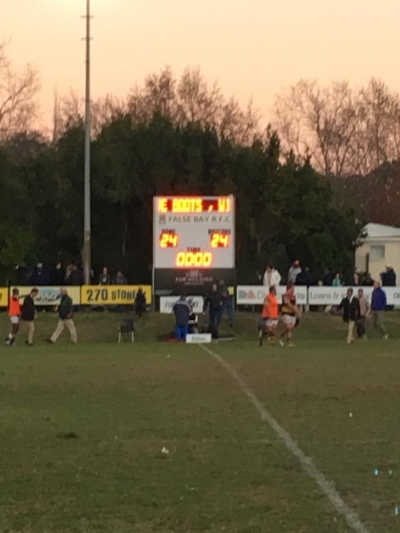 Address: False Bay Rugby Football Club, Constantia Main Road, Cape Town.